As long as there are untouchable missions, you can rest assured the Expendables will always have work. Once again, Barney Ross (Sylvester Stallone) is the leader in The Expendables 3, the gang of gung-ho mercenaries. The location where the stuff hits the fan this time is Somalia, where Barney and his team are attempting to stop the transfer of explosives to a dangerous warlord. Average day in the life of an expendable. The mission gets a monkey wrench thrown at it when a old ally and now foe Conrad Stonebanks (Mel Gibson) reveals himself to be the supplier of the explosives. Assumed to be dead, the once co-founder of The Expendables now makes his living on the black market. This enrages Barney, but his men are overmatched and outgunned. Not wanting to put his original crew in harm’s way and expressing a desire to shake things up, Barney seeks out younger, progressive talent to employ in efforts to go to war against his old friend. When it comes to movie franchises, there is a fine line in knowing when it is time to reinvent the franchise or stick with what got the franchise a sizable following. It is tough to know what direction to take, and when to pull the trigger, and usually both are often no-win situations. Stick with the status quo too long and people say you’re getting lazy, or go more radical and people state that things change too much. Once of the best recent examples of a solid redesign is The Fast and The Furious franchise, effectively shifting its tone effortlessly sort of midway in its life cycle to the point that the latter three movies are accepted by most as the best in the series. Back to the feature at hand though. 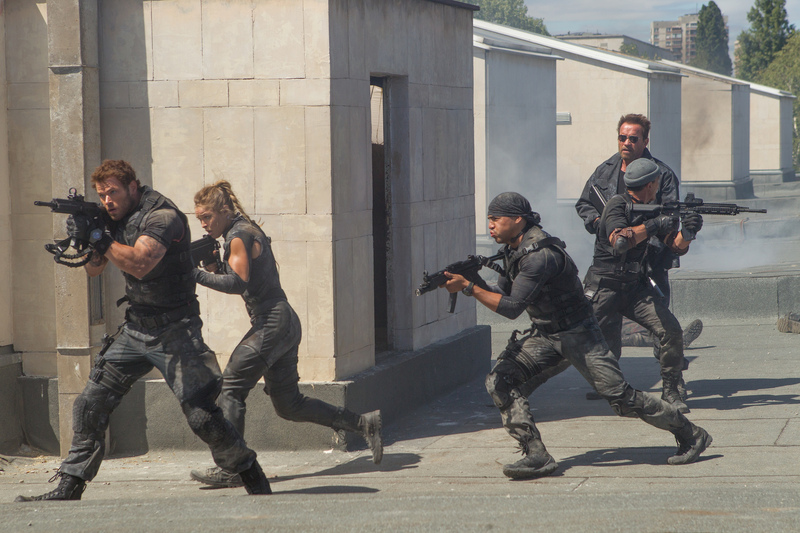 Sadly, The Expendables 3 tries to do new things, but gets away from its roots too much. With these films, the draw or more fittingly the gimmick of past-their-prime action stars performing ultra-violent bloody acts make The Expendables what it is: Unadulterated entertainment. When these aspects are removed, what is left is a nondescript action film. If you don’t know by now, this installment introduces more characters to the crew, and for a minute it looks like new blood is going to mesh with the old guard. While that happens eventually, a sizable chunk of the runtime is solely devoted to introducing us to these new characters and seeing them do what the old guys used to do. There is just no awe seeing these newbies in this film, because they have little to no prior history in the genre. The previous two films didn’t have and didn’t need character development, but the stars playing the characters were essentially themselves, which sort of gave some “depth” to them in an odd way. With the new blood, this simply doesn’t exist, and the characters are either bland but acceptable (Ronda Rousey, Glen Powell) or grating and stereotypical (Kellan Lutz). Additionally there are some newer older guys like Wesley Snipes making a return to acting, and Antonio Banderas (in a highly annoying role), but their inclusion feels like nothing more than to add more big names to appear in the trailer and film. 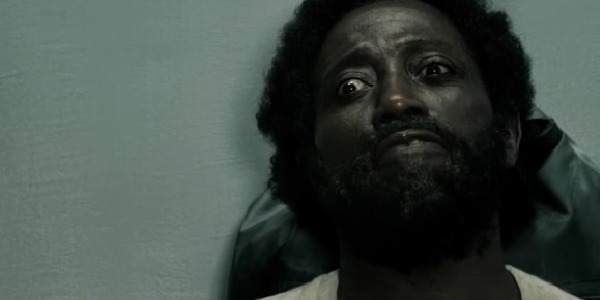 It is a little of a downer for Snipes, because if he had more to do in here, the role could have conceivably gave his post-tax career some momentum. One of the biggest talking points prior to the release of The Expendables 3 was the fact that Sly and the studio were going to go with a PG-13 rating with this one. Sometimes too much is made about what a movie is rated, often pertaining to action movies, looking past the fact that effective action can still be created and utilized with a softer rating. Again however, these movies were built around occasionally graphic and over the top action, which the PG-13 rating cannot capture. 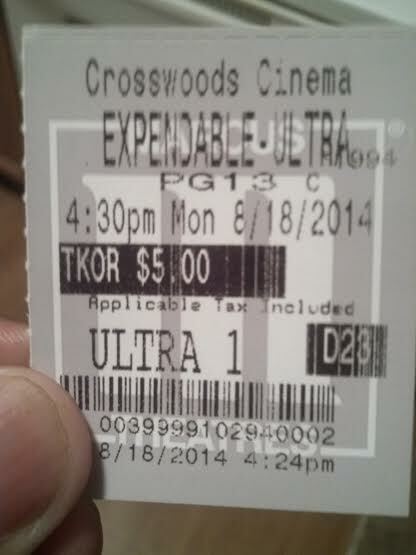 When that is taken away, much of the soul of The Expendables 3 is as well. The move to a PG-13 is actually a puzzling one. The softer rating potentially expands the viewing audience, but it really doesn’t upon further analysis. It can even be argued that it pushes its core fan base away, and the new targeted demographic doesn’t move the money needle like anticipated. Since the film was originally shot as a R, many cuts had to be made to get it to the desired mark, and it is here that the dulling of the action is most clearly seen. That isn’t to say all is a disappointment; there are a few impressive looking sequences here and there. More often than not though, so much shaky cam and janky cuts are used to minimize the violence, to the point that much is happening but little of it is actually seen. Even some that is seen is just plain boring and devoid of excitement. Aside from the action, there are more than a few occasions where some set pieces, be it driving or escaping from burning rubble, never appear to leave the green room, adding a layer of unintentional humor. In totality, most involved for one reason or another appear to be going through the motions, whether this is their first go around or third. Unfortunate matter, because this movie actually has the most intriguing villain out of the three. 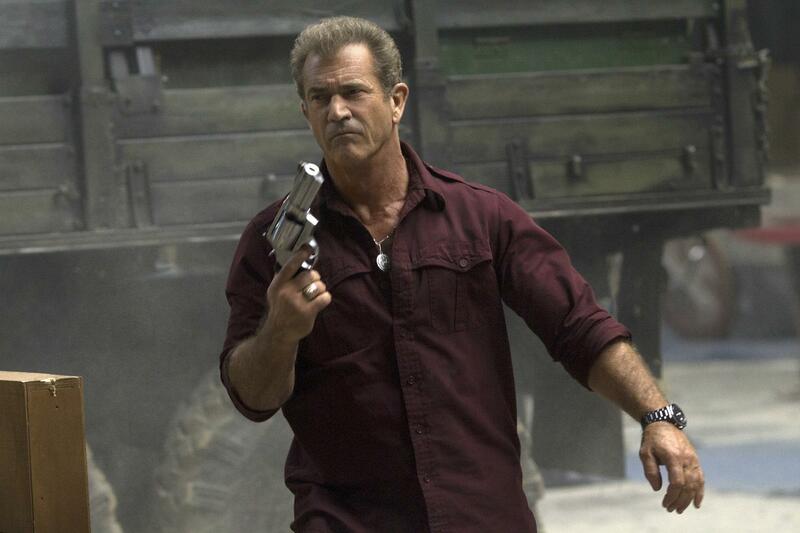 Mel Gibson isn’t reason alone to see this, but he does steal the show as much as one could in a movie like this. His character is a bad guy, but is cerebral enough to get you to see some of his side. The plot is benefited from a beefed up foe and seems to have slightly more direction than its predecessors, but it does have some pacing issues. Honestly, it is longer than it needs to be, and there are a few stretches where nothing truly occurs but recruiting members or getting to know them. This was most likely done to give some weight to the new people in an effort to get us to care, but the characters themselves are ones to be forgotten. Whether a victim of franchise fatigue or doing too much to a relatively tried and true template, The Expendables 3 isn’t good any way you slice it. But the bigger issue is that it just isn’t that memorable or fun. Photo credits go to movpins.com, whoatv.com, and cinemablend.com. Good review Jackson. I had fun with this, even if it is incredibly dumb and loud. Thanks for the comment Dan. I had occasional fun here and there, but was more bored than I would have liked, PG-13 or R rated. I couldn’t agree more. It didn’t need the young unknowns, they just bloated the film. And you’re so right about Mel Gibson stealing the show, he was a great bad guy. He brought a lot of energy to a largely lifeless film. Like I said it’s hard to know when to reload and retool a franchise, but the template from the prior two was largely successful…why change so much? Although I don’t agree fully with your review (I did enjoy it), I get your points. Didn’t mind the rating though, but did feel the inclusion of the younger group wasn’t needed. It’s all subjective right? I think the youngsters maybe could have been better received if the old guard wasn’t thrown to the side so much. My review isn’t up yet (saw it yesterday), but keep an eye out for it. Glad Mel Gibson did good, I know he has been a crazy person in the past couple of years, but I always liked him as an actor. Ok I will not be watching this movie, like EVER! If you haven’t watched and at least enjoyed some of the first 2, you should probably stay away haha. Still good to see Mel get it done as an actor, craziness aside! Bring back normal Mel please! !